Biochar Production comes to Mendocino County! Judith Harwood tells Mendocino TV about this exciting new industry! Why Biochar?— Amending Soil with biochar is modeled after a process begun thousands of years ago in the Amazon Basin, where islands of rich, fertile soils called terra preta (dark earth) were created by indigenous people. Anthropologists speculate that cooking fires and kitchen debris along with deliberate placing of charcoal in the ground resulted in soils with high fertility and carbon content. These soils continue to “hold” carbon today and remain so nutrient rich that they have been dug up and sold as potting soil in Brazilian markets. Research presented at a recent American Chemical Society annual meeting suggests that biochar plus chemical fertilizer yields increased growth of winter wheat and several vegetables by 25-50% compared to chemical fertilization alone. Soil Science Society of America experiments found that biochar supplemented with fertilizer outperformed fertilizer alone by 60%. It is important to note that not all biochar is the same. The key chemical and physical properties of biochar are greatly affected by the type of feed stock being heated and the conditions of the pyrolysis process. For example, biochar made from manure will have a higher nutrient content than biochar made from wood cuttings. However, the biochar from the wood cuttings is likely to have a greater degree of persistence over a longer period of time. The two different chars will look the same but will behave quite differently. Thanks go out to our two well-received speakers about biochar: Charles Berkstresser and Judy Harwood. We had a good turnout at the last event and the conversation about new green industries on the coast continues. 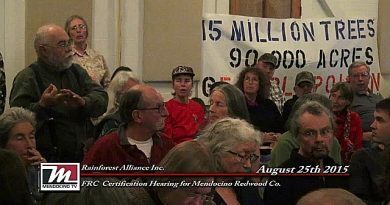 For example, folks in Willits, Ukiah, and other places in Mendocino County are discussing not only biochar, but other potential green and local industries like agave farming, seaweed harvesting, and highly productive mini-ecosystems that support sustainable harvest fishing. If you have a potential speaker on these topics or on other local green industries, please contact Charles Cresson Wood, and let’s see if we can organize an event. Com ing out of this last meeting, we now have a biochar working group with eleven members. If you wish to be a member of this working group, contact Charles Cresson Wood. The working group will be coordinating their efforts with a Ukiah Valley Transition Towns group that is also looking at biochar. The participants at the 24 May 2012 biochar meeting had many questions for the presenters, some of which were not answered at the last meeting due to time constraints. Those questions are answered below. If you wish to get a copy of the carbon offsets memo mentioned at the end of the following Q&A, contact Charles Cresson Wood, and he will put you in touch with Charles Berkstresser, who can provide the memo. While charcoal has been an integral part of traditional farming practices in many parts of the world, it is true that the use of biochar in agriculture and gardening is a new idea for most people in modern society. Grassroots efforts are expanding across the U.S. to tell the story of biochar and generate interest in both the consumer markets and agricultural sectors. This is one of the primary concerns that the Woody Biomass Working Group (WBWG) has heard from the community around biomass removal from forests. The Sierra Institute considers nutrient levels to be one of the key indicators for sustainability of forest biomass removal. The woody part of a plant is made up of mostly carbon, which is not actually a nutrient. It is my personal understanding informed by conversations with Yana Valachovic, a soil scientist with the UCCE in Humboldt, that carbon availability is not a limiting factor in soil health for the regions forests. However, like biochar wood carbon can act as a soil amendment and removing too much carbon could impact forest nutrient cycles indirectly. While this study helps address the concern around forest nutrients and biomass removal, the WBWG in collaboration with the coastal working group have decided that because this is such a key concern of the community we would explore the issue further. We have developed a project to help define how much biomass should remain in Mendocino County Forests (by forest type) in order to achieve ecological sustainability (nutrient levels being one of the key indicators of ecological sustainability). We are in the beginning phases of the project Greg Guisti, a biologist from U.C. Berkeley will conduct a literature review to help answer this question. We will have a series of outreach events throughout the county to share the results. I was not able to locate any studies completed specifically in the area of effects of biochar in redwood forests, however there has been work done on examining naturally occurring char in forests with recurring forest fires that is similar to the redwood forest environment. Biochar for Environmental Management – Johannes Lehmann and Stephen Joseph 2009; Page 257. This finding supports the notion that biochar amended soils in forest environments will likely improve the nitrogen cycle nutrient management but additional careful study should be conducted to test the effect of PH balance before wide-spread applications are implemented. From an economic and best use perspective this makes total since. Using the lowest value/ highest hazard wood sources would be ideal for biochar creation. However, there is nothing guaranteeing that each piece of wood removed from a property will be taken for its best possible use. Other areas have undergone analysis to help define the best use of forest products based on existing infrastructure. The application of biochar (biomass-derived black carbon) to soil has been shown to improve crop yields, but the reasons for this are often not clearly demonstrated. Here, we studied the effect of a single application of 0, 8 and 20 t ha−1 of biochar to a Colombian savanna Oxisol for 4 years (2003–2006), under a maize-soybean rotation. Soil sampling to 30 cm was carried out after maize harvest in all years but 2005, maize tissue samples were collected and crop biomass was measured at harvest. Maize grain yield did not significantly increase in the first year, but increases in the 20 t ha−1 plots over the control were 28, 30 and 140% for 2004, 2005 and 2006, respectively. The availability of nutrients such as Ca and Mg was greater with biochar, and crop tissue analyses showed that Ca and Mg were limiting in this system. Soil pH increased, and exchangeable acidity showed a decreasing trend with biochar application. We attribute the greater crop yield and nutrient uptake primarily to the 77–320% greater available Ca and Mg in soil where biochar was applied. The above two questions are related. It is impossible to define the original state of our forests. Even before industrial logging, Native Americans used forestland in a way that would have altered it from its “original state”. Before people, the climate in this region was different likely supporting a different array of species than what we see currently. Ecosystems evolve- however, you can take a snapshot in time and say our forests functioned better then than they do now. Defining what is optimal from a human perspective is inherently subjective. To one person an optimal forest ecosystem would be park like, while others would seek to maximize certain types of habitat i.e. spotted owl habitat. Generally the WBWG has strayed away of defining what the optimal forest would look like, instead focusing on improving the functionality of currently degraded forestland. This is includes ecological functionality (i.e. erosion control, nutrient cycling, fire risk reduction etc.) and the functionality of forest based economies (sustainable timber harvesting, biomass utilization etc.). In other words it is less about what we are trying to go back towards, and more about improving forest functionality based on what we have today. What this will look like will inevitably be different than what a highly functioning ecosystem looked like 100, 1,000, or a million years ago. Both of these questions can be addressed in a similar way. The body of literature on how much biochar can be safely added to topsoil and what amount is optimal is quite varied at the moment. A good point of reference is 1 ton per acre. 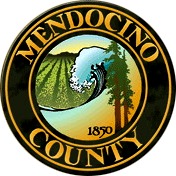 Given that amount over a good portion of the agricultural land in Mendocino County, it would take many years of operations to reach even one application widely distributed. In most regions, biomass is the more critical limiting factor which is why sustainable production principles are so important to any new proposals. I am attaching a report that looks at the global potential for carbon offsets utilizing available, sustainable biomass to provide some more detail on how these calculations are done in large systems. I heard about your group from Katrina Frey and Mary Anne Landis. I have 80 acres of mixed forest near Willits and am interested in creating a Biochar production unit on my land. I’m hoping it will also be feasible to produce electric power, household heating a d hot water from the unit. Please let me know when you are meeting. I would like to attend. My phone number is 707 456 0270.